HTG - the conservatory refurbishment & maintenance experts > Window Safety and Security > Crystal clear, anti shatter, laminates, and rigid sheets to make windows safer and more secure. Photo of glazing under attack from man. Crystal clear, anti shatter, laminates, and rigid sheets to make windows safer and more secure. 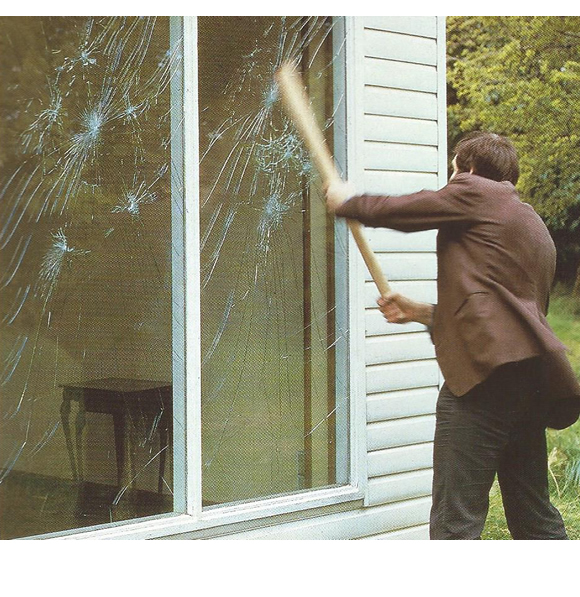 Photo of glazing under attack from man.